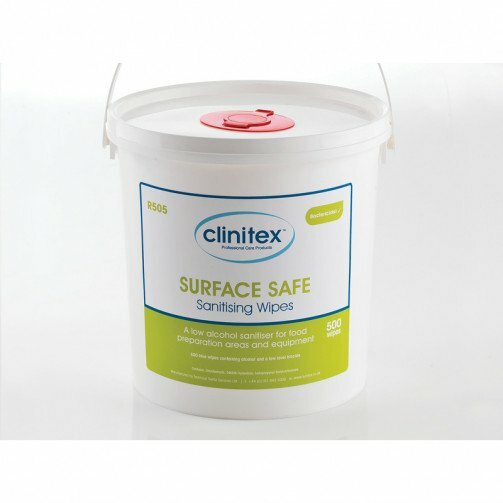 Clinitex surface safe sanitising in a tub of 500 each wipe being 23 x 20cm. 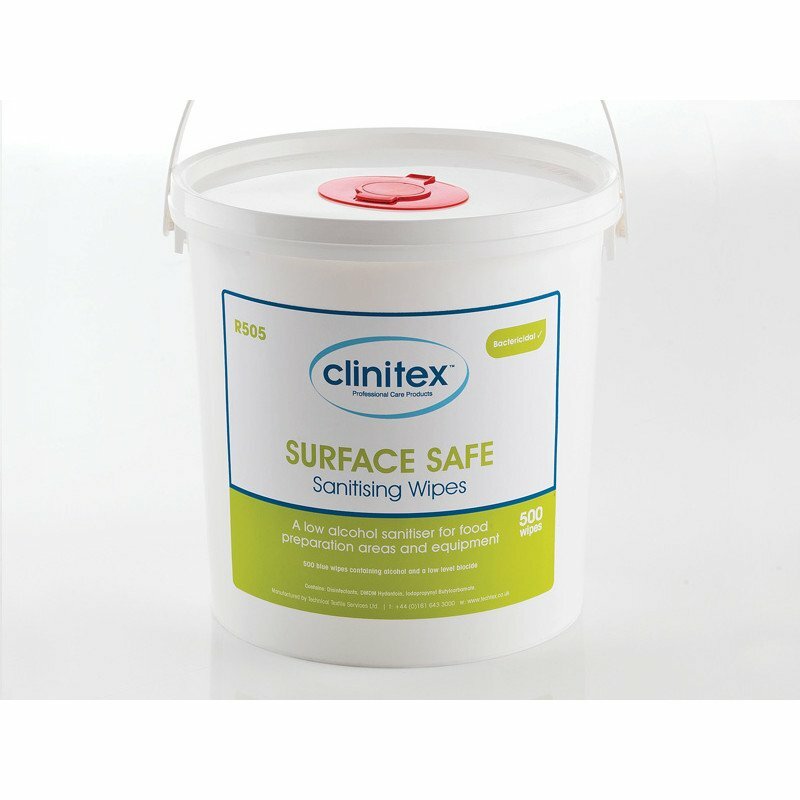 Low alcohol sanitiser for food preparation areas and equipment.Strong, blue wipe.Independently tested disinfection.Provides initial and residue disinfection. Large, economical bucket. Effective against MRSA.